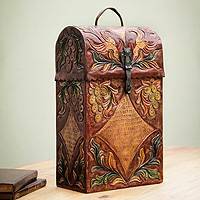 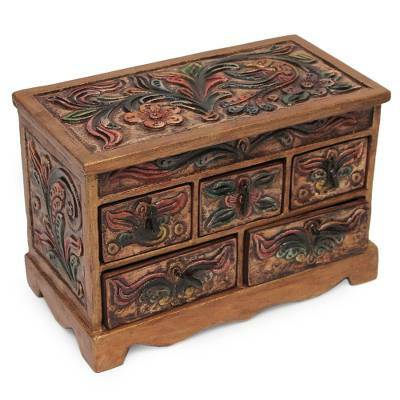 Accent your dressing bureau with this unique leather and wood jewelry box from the Andes. 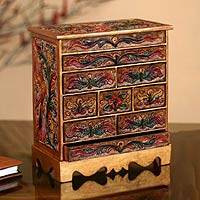 Crafted by Oscar Pastor from the Andes, this lovely 5-drawer wooden jewelry box is made with ivy embossed leather in the Colonial style with wrought iron tear drop knobs and a mirror. 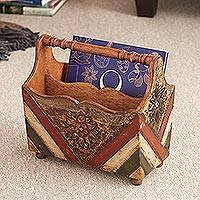 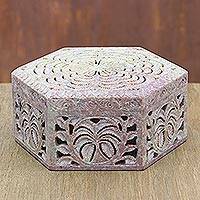 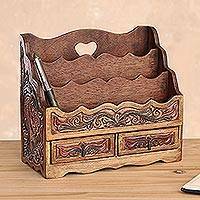 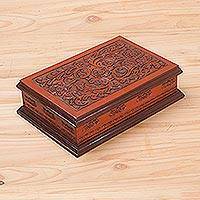 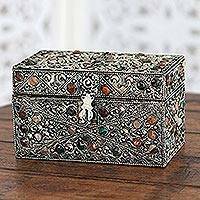 This attractive Peruvian jewelry box is a perfect place to keep and sort your artisan jewelry.